Time and again, Horner showed himself to be a master storyteller. His trick was always to latch onto the protagonist and follow him or her through the requisite and tumultuous transformation process. When he was asked to score Apollo 13 in 1995, all that had to go out the window, because Ron Howard’s well-regarded account of the troubled moon mission was, first and foremost, a documentary. The focus of the piece is on events (such as the daunting problems the astronauts faced in getting back home) and concepts (such as NASA, space, defeat and success), and those were the elements that the film score had to take its cues from. Again, what sets a documentary apart from a story is the stagnant nature of its human characters. Sure enough, Jim Lovell (Tom Hanks), Jack Swigert (Kevin Bacon) and Fred Haise (Bill Paxton) go to hell and back over the course of a mission that is politely remembered as a “successful failure”, but by and large, they come out of the story as exactly the same human beings, their personalities, their belief systems, their identities, in short their essence completely intact. There is no profound transformation the way Balto’s essence changed when he stopped wanting to be a dog and embraced his wolf origins. Without a transforming protagonist as its backbone, there can be no clear three-act narrative, but do not hold that against screenwriters William Broyles Jr. and Al Reinert, who adapted Jim Lovell’s book and tried to reconstruct the Apollo 13 mission as faithfully as possible rather than massage it into a three-act story. Still, a number of narrative beats survive. The Master Alarm cue underscores the moment when the mission kicks into (breaks into) its second act: disaster strikes, the mental and logistical world the characters inhabit is turned upside down, thesis becomes antithesis. When the decision is made to abandon the Odyssey and use the Lunar Module (LM, but curiously given its obsolete acronym of Lunar Excursion Module or LEM for the purposes of the score) as a lifeboat, Jim Lovell realizes that “we’ve just lost the moon”. This All Is Lost is followed by the scene the entire movie hinges on, when the astronauts lose radio contact with Mission Control and do a fly-by of the far side of the moon. Both literally and metaphorically, it is the story’s Dark Night of the Soul. Not surprisingly, it is one of the score’s standout set pieces – if you factor in James Horner’s personality and especially what appealed to his instincts as a dramatist, it was probably his favorite cue of the entire score. Toward the end of the cue, Jim Lovell is roused from his musings and addresses the crew: “Gentlemen, what are your intentions? I’d like to go home.” Having gotten the dream of setting foot on the moon out of his system, that line of dialogue sets in motion (breaks into) the third act, which occupies the remainder of the movie. 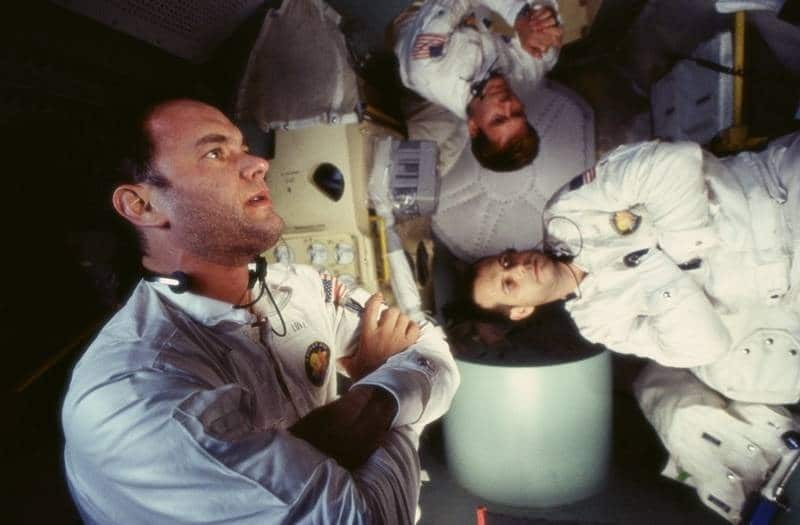 The three-act structure as realized in Apollo 13 is of course crude and unbalanced, with an underdeveloped second act and a protruded third, but again, it would be unfair to use that argument as a criticism because the screenplay never tried to be a three-act narrative in the first place. So without having the luxury of following a transforming protagonist and a clear three-act screenplay, what inspired James Horner to write this Oscar-nominated score that would quickly become a fan favorite? The answer to that question reveals the score’s true brilliance. To quote James Horner: "If you start off with a big score, it sets an audience up for just another sci-fi movie… except Apollo 13 is a documentary; you know where it's going to end. What I'm trying to get out of the story is the idealism." 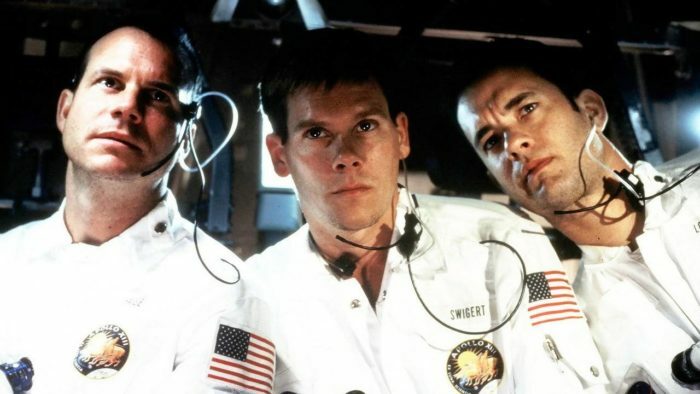 In fact, Horner gets much more out of Apollo 13. The documentary approach is one of the reasons for the down-to-earth electronic nature of many of the underscore cues, on top of them being a natural fit for scenes involving technology and NASA engineers’ thought processes. Horner brings it out in his lightly tapping percussion, especially the effective use of woodblocks in cues such as Into The LEM, Carbon Dioxide and Four More Amps. Moreover, in these often understated tension cues, the tingling of cymbals frequently mimics the transferring of an electrical current. The orchestra is used for the patriotic side of the story, and apart from its potential for glorious statements of triumph and lyricism (in All Systems Go – The Launch, The Dark Side Of The Moon, Re-Entry and Splashdown and End Credits), it is used for the most overt examples of action and tension music (Master Alarm, Carbon Dioxide, Manual Burn and Into The L.E.M.). What James Horner rather succinctly called idealism is actually a stunning case of musical polysemy, a rich tapestry of different meanings rendered, paradoxically, by very simple musical ideas. This brings us to a short discussion of the score’s three themes. By far the most frequently used is a long-line identity for NASA, performed most characteristically by Tim Morrison’s trumpet. The theme is successful on a number of levels. One, it has very meaningful echoes of Aaron Copland, as John Takis notes in Intrada’s booklet. 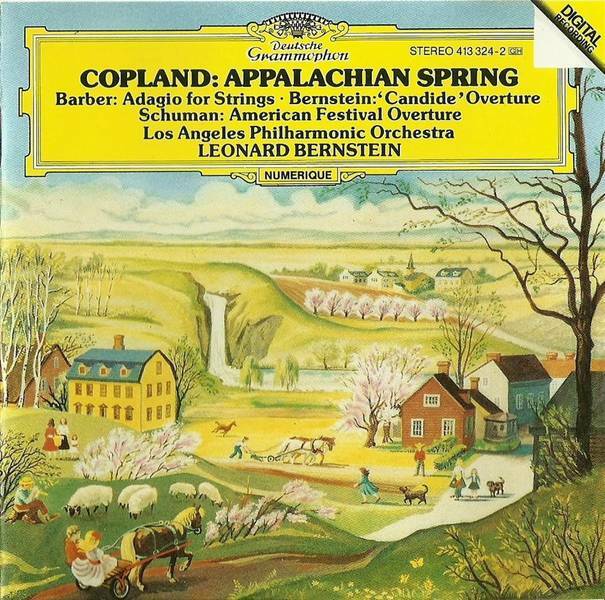 Aaron Copland (1900-1990) was the quintessential American composer, the one who basically invented what would later be dubbed Americana music, notably Appalachian Spring, and Horner appropriately draws from this well for an event that reconstructs a singularly American feat: NASA’s high-minded space program and its dogged efforts to turn the tide of catastrophe and bring the Apollo 13 crew safely back home. Quite simply, the NASA theme reflects the American spirit of exploration and adventure, an idea that Horner would develop further for The Perfect Storm. Secondly, the theme is constructed in such a way that by the time its basic seven-note progression enters its third iteration, it dissolves into a series of beautifully repeating and echoing notes. Especially when performed by solo trumpet and recorded with a healthy dose of reverb, this part of the theme is a wonderful musical metaphor for the vastness of space. Seeing an opportunity to create structure where there was none, Horner bookends the score with the idea, whose solo trumpet statement at the very end of the End Credits lends the film a nearly mystical touch. It is Horner’s way of reminding us that when all is said and done, the universe is a lot bigger than any human triumph or failure. Thirdly, scoring the theme for the trumpet was a brilliant orchestration choice, the noble brass painting NASA as a present-day Christopher Columbus. Apart from ratcheting up the tension and danger in action cues, the snare drums do a great job heightening this sense of nobility, as in the Main Titles. The score’s secondary ideas include a brass chorale that opens All Systems Go – The Launch, another long-line melody made up of seven-note parts (the symmetry is admirable) and an irresistible two-part lyrical theme which is given its most glorious statement during the moment of take-off (I will call it the take-off theme). It returns in Re-Entry and Splashdown and lays the foundations for the first part of the End Credits. The vocal material in Apollo 13 is a presence rather than a theme, but it is no less effective for it. Appearing in just two cues, Annie Lennox’s voice makes the most lasting impression. In a case of musical polysemy all its own, her wordless vocals constitute the emotional core of The Dark Side of the Moon, and the Scottish singer’s highly distinctive voice was Horner’s clever way of reconciling director Ron Howard’s wish for a score-only end title cue with the studio’s insistence that a song be used over the end credits. The other vocal presence in Apollo 13 is the children’s choir, whose light, whimsical touch is a beautiful metaphor for weightlessness itself. Its most effective and magical uses include the moment when the crew members take off their helmets in space for the first time, the film’s slow-motion finale and the opening minutes of the End Credits, where Annie Lennox hands off the lyrical take-off theme to the children's choir before taking it up again herself. Finally, it is worth mentioning that while the big set pieces feature moments of orchestral exuberance, James Horner generally goes for understated idealism and understated tension in an intentionally understated score. After all, Apollo 13 is a documentary. The resulting score ends up showcasing a number of James Horner’s many talents: his expertise at handling moments of tension and action (even though musically, it’s a progression of elements introduced in 1992’s Sneakers), his ability to convey multiple meanings with the simplest of musical building stones and his genius at finding, or if needs be, creating the emotional heart of any given project, as evidenced here by the use of vocal elements, which add a crucial dimension that perhaps no other composer would have even bothered to consider. 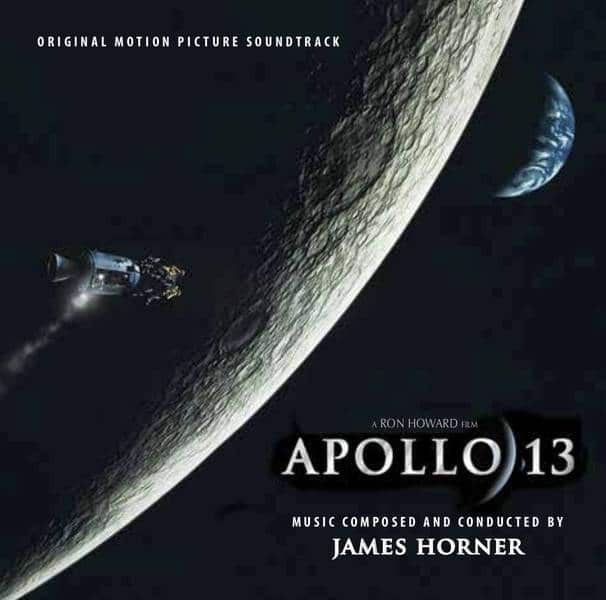 There have been many album incarnations of James Horner’s Apollo 13 score, and while Intrada’s brand-new set is by far the most commendable of the bunch, even it does not present every single cue the composer recorded for the film. 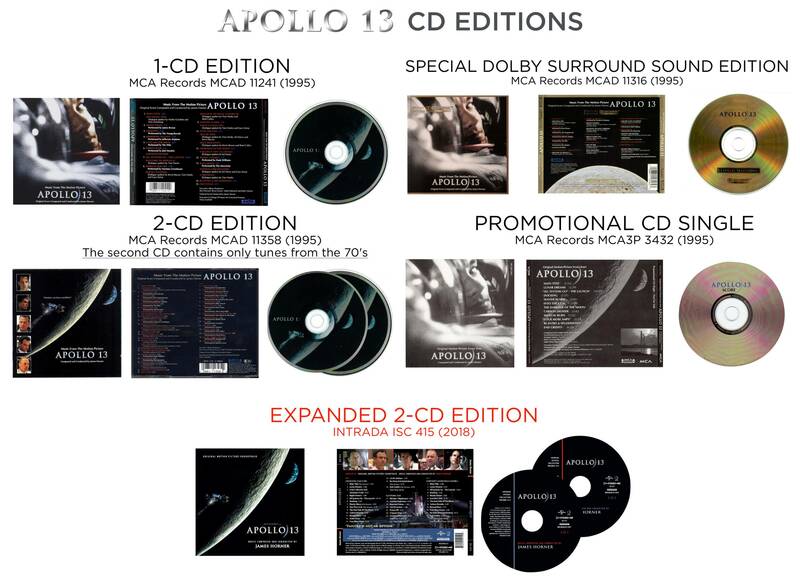 As discussed in the detailed notes by John Takis and Mike Matessino, Apollo 13 was originally released as a kind of 'souvenir' album (MCAD-11241) consisting of spoken dialogue from the film interspersed with selections of James Horner's score (Main Title, All Systems Go – The Launch, The Dark Side of the Moon, Re-Entry and Splashdown and End Titles), popular songs of the era such as I Can See For Miles by The Who and Blue Moon by The Mavericks and even a few minor sound effects. This idea carried over twice, into both an international release (MCD-11358) which featured the same contents plus a second CD made entirely of more songs from the 60s and 70s, but taken a step further with the release of an 'Ultimate Masterdisc' 24-Karat Gold-Plated CD (MCAD-11316), touted as a 'Virtual Audio Storyboard' of the film. This release featured even more thunderous sound effects because it was effectively a streamlined presentation of the film's original audio mix, presented in 2-channel Dolby Surround. 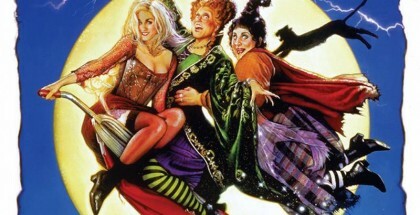 The contents differed from the original album release only because of revisions made for the film's audio presentation. In 1996 Universal issued a 'Promotional CD Single' (MCA3P-3432) which was never commercially available and which presented only James Horner's score as originally intended for album release. This assembly, never realized at the time, makes its commercial debut as disc 2 of the new Intrada Special Collection album. 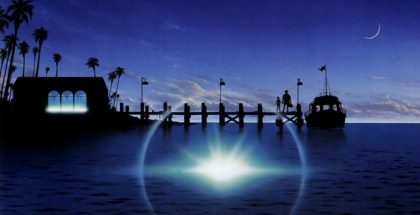 The Promotional Album's presentation, a 59-minute program of 12 cues, did make its way into the ears of the film's wide audience in an unconventional way, as Universal Home Entertainment opted to include all 12 tracks of the promotional album as selectable background music for the laserdisc and subsequent Dolby Digital DVD release of the film in the main menu. There was a slight flaw in that the final chapter stop was placed roughly 55 seconds into the End Credits, which resulted in a brief pause in the music. 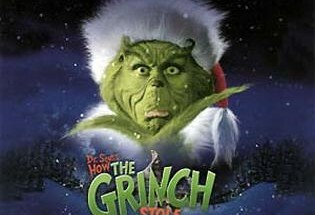 The DTS Surround DVD did not include the album program music, nor did the 15th Anniversary DVD with the shorter, reformatted IMAX presentation or subsequent Blu-ray and UHD releases of the film. Sprinkled throughout Intrada's new and substantially expanded presentation of Apollo 13 are cues that went unused in the final film. The first comes in the small suite of three cues that make up track 3, A Son's Worries and Simulator Crash. First comes a tender moment of light strings and trumpet underscoring Jim Lovell's talk with his son Jeffrey about the Apollo 1 fire. Horner scored the short scene twice, the second time with more emphasis on the piano and less on the trumpet. In keeping with the orchestration choices made for the score as a whole, the trumpet version is the more preferable, and it was duly selected for the final mix. The second part of Intrada’s track 3 suite presents music originally written for Ken Mattingly’s docking simulation, a subtle piece of tension that went unused in the film, and Jack Swigert’s unsuccessful re-entry simulation (which was not dropped). Mattingly’s successful docking simulation had an alternate featuring an added drum pattern bringing slightly more action to the moment. Both alternate cues are absent from Intrada’s new set. The other unused music comes as the second half of A Square Peg, found in the collection of purely electronic cues following the orchestral program. This cue was written for scenes in the LM of Lovell observing a frozen hot dog, indicative of how cold the astronauts' living conditions are, Haise suffering and shivering, and the unexpected preparation of making a manual burn to return to their proper alignment in space. The opening half of this music is for the NASA scientists having to devise a 'square peg in a round hole' situation of getting more breathable air in the LM. In order to do so, they have to design a carbon dioxide filter (as such, the cue is a precursor to the orchestral cue of the same name.) Intrada wisely combined these purely electronic cues (9 minutes’ worth) into an extras section following the main program, as they are not the most interesting material from a purely musical point of view. In fact, the electronic cues were composed and recorded later in post-production, after the recording sessions. Some of it may have to do with the fact that Horner was going to have a comfortable ten weeks to score the film, but ended up with only four after the film had been moved from a November release to the weekend before the July 4 holiday. To make matters even more complicated for soundtrack fans, a couple of cues sound strikingly different in the film than on the albums (Master Alarm being a good case in point) and parts of the cues Carbon Dioxide and Docking were tracked into third-act scenes. Sorting the whole thing out is its own odyssey. Even though at the time Universal Pictures had a James Horner logo theme, the score starts right away with snare drums and Jim Morrison intoning the NASA theme. The entire main title sequence is about NASA itself, and especially the incident that occurred on January 27, 1967, when a fire killed astronauts Gus Grissom, Ed White and Roger Chaffee. Right from the start, Horner announces the score’s tone: both the trumpet and string versions of the NASA theme are respectfully understated, the strings building just a tad at the height of the gruesome drama. A few neat moments are worth mentioning. As long-line as the NASA theme is, Horner makes sure that the last note of its first complete statement coincides with the appearance of the title card “A Ron Howard film” (36 seconds in). After the Apollo 1 disaster, Horner returns to the trumpet and ends the cue in the exact same way. Note that a longer alternate of the cue starts disc 2. Jim Lovell watches the live television broadcast of Neil Armstrong setting foot on the surface of the moon. Reflecting Lovell’s silent awe and admiration, the music again relies on the NASA theme complemented by soft strings. A piano accent ends the cue as it appears in the film. Intrada’s program features the complete version of the cue, which would have underscored the intimate garden scene in which Jim and Marilyn Lovell muse about the moon and “Mount Marilyn”. Dropping this part of the cue was arguably the sensible thing to do in a score that is driven by concept, not by character. That being said, later scenes such as Night Visitors and Cosmic Connection show that the filmmakers did not strictly adhere to that principle. Horner had originally titled this cue Lunar Ambitions, which was more in line with Jim Lovell's state of mind during the moment, rather than Dreams. Ambient scoring leads to anguished electronic strings and piano-driven panic as Jim Lovell is ejected from the Odyssey and floats off into space. Fortunately, it’s only a nightmare. Young Jeffrey Lovell asks his dad about the Apollo 1 fire. This is the film version of the cue, relying on soft strings and especially shadings of the NASA theme performed by the trumpet. It makes up the first minute of Intrada’s track 3 suite A Son’s Worries and Simulator Crash. An alternate, featuring piano instead of trumpet, went unused and does not appear on the Intrada album. The album does feature Ken Mattingly’s successful docking simulation (CD1 track 3, 0:51-2:10) which would have played in the movie between Lunar Dreams and Marilyn’s Nightmare. Its alternate, slightly playing up the tension and the action of the moment, was discarded and is absent from the Intrada album. This is the music that plays under Jack Swigert’s failed simulator test. It features the first appearance of the woodblocks, uses snares to build tension and strings that climb the scale as the G-forces go up. The tension is relieved when the test turns out to be a failure. A moto perpetuo in the piano trails off as the cue ends in appropriately unresolved fashion. This is where the cue is cut off in the film, Jim’s subsequent discussion with Deke Slayton playing sans score. The complete version of the cue makes up the third and final section of Intrada’s track 3 suite. Marilyn turns up the night before the launch to say goodbye to her husband before he goes off into space. Gentle piano tinkling, understated strings and barely audible brass nicely transition to somewhat ominously low strings as the movie cuts to the early morning of April 11, 1970. Originally this cue was titled the shorter, simpler Go For Launch, a line used often for the moment in the film. A brief note on the improvements made here in the overall sound quality of this Intrada release: The cluster of bells at 6:23 (album track timecode) into the cue shines through loud and clear on both inclusions of the cue on this album. The OST was clipped and drowned out with overpowering bass, similar to the film’s sound mix which was completely buried under the rumbling low end subwoofer channel adding to the power of the rocket. A magical moment finally given its due. In my mind, this lengthy set piece is the score’s most accomplished cue and one of the finest of Horner’s long and distinguished career. I commented extensively on it in the article “Standout set pieces #1: The Launch from Apollo 13.” You can read the entire text here. This cue stands out from the rest of the score if only because its striking musical identity was intended to appear only once. In fact, it is eerily reminiscent of Jerry Goldsmith’s Alien (1979) and Horner’s very own take on the idea in Aliens (1986). The distinctive sound palette relies on woodwinds whispering in an almost mechanical way. Back then, it was a great way to suggest the half-mechanical, half-organic breathing of the Xenomorph and the emptiness of space. Here, the monster is space itself, a decidedly hostile environment in which (human) life cannot thrive. In addition to the woodwinds, the cue uses a synthetic choral effect and slowly marching timpani, strings and woodblocks to suggest the painfully slow and meticulous process of docking. Note the hesitating trumpet solos here, a subtle representation of the uneasy balance between concentration and nervousness. The rumbling is suspended in a single, pulsating note until docking is complete, at which time Horner suddenly drops the timpani. Contrary to the relief felt by the characters, there is not the slightest trace of relief or triumph in the score. If anything, the low strings point to the trouble that lies ahead. Only about four of the cue’s twenty-four seconds are audible in the film as Jack Swigert gives the oxygen tanks a stir and a faulty coil leads to a canister explosion that will set off the master alarm. The cue is all-electronic and designed to mesh with the sound effects. 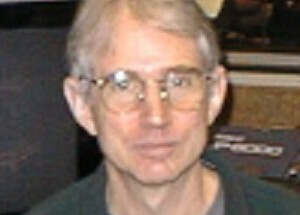 Horner takes the material he premiered in Sneakers (1992), especially the second part of Playtronics Break-In, and adapts it to this cue of panic and terror. Bursts of his signature crashing, descending piano motif accompany the wildly pitching craft and an insistent action motif keeps the rhythm at fever pitch for over two minutes. The action music is undeniably effective, and yet on a dramatic level, the most imaginative music is found in the closing forty-five seconds of the cue, when Horner uses an electronic effect to mimic the precious oxygen venting from the tanks. There is no sound in space so a sound effect was impossible here. Instead, the sound of venting which is so vital to this moment is rendered through non-diegetic means by the underscore. The electronic effect is completely unobtrusive, it barely registers in the mind of the average listener and yet, it is a crucial part of the movie’s composite sound track and the moment’s impact. It shows that film scoring sometimes has precious little to do with actual music, and more with a keen sense of drama and storytelling. This is another short amorphous and ambient synth cue. The crew watch in horror as the oxygen levels fall. The first part of the cue is all about the astronauts’ mounting distress, and relies primarily on unsettling string writing. Part of this first section was cut from the film, perhaps for reasons of pacing. The cue’s second part is a bit livelier, with the requisite array of woodwinds, percussion accents and an ostinato that speaks to the pressing deadline: the astronauts have to transfer to the Lunar Module, which is the only one left with a reliable oxygen supply. Horner accents the LM and Odyssey tumbling through space with seemingly uncoordinated percussion (1:00:00) and shrieking brass (1:00:15) while Mission Control works out the math for getting the crew safely into the LM. The cue ends with one of the engineers giving the maneuver a thumbs up, but instead of triumph or relief, Horner again opts for something much darker: a violent percussion accent followed by uneasy strings that simply peter out. On the DVD/Blu-ray audio commentary, Ron Howard said of this sequence that it was an action scene made out of mathematics. The astronauts get into an argument without realizing that they are on VOX, which means everyone is listening in on them. Fred Haise throws the VOX switch and that is the end of another short and insistent all-electronic cue. After the astronauts have powered down the Odyssey, Horner comments briefly (and electronically) on the rows of shut-down control panels. The score’s second set piece is the emotional heart of the piece and a masterclass in film scoring. Realizing the importance of the cue and determined to make a sizable emotional impact, Horner brings in Annie Lennox’s voice. Her wordless vocals are an entirely new element and another case of musical polysemy: the voice represents the stark beauty of the moon, it speaks to the uncertainty of the astronauts’ fate, especially now that radio silence has set in, and it acts as a lament, both for Marilyn Lovell who is seen weeping at home and for the astronauts, who gaze at the moon’s surface without getting the chance to fulfill their dream and actually land on it. Again, all this complexity is derived from such a simple musical device, and this alone makes the cue singularly powerful. Also, note the gentle children’s choir, which accompanies the shot of Marilyn Lovell (1:12:18) and the lunar sunrise (1:12:27). Underneath it all is a subtle but oppressive percussion ostinato reminding the astronauts that the moment they have been looking forward to is coming and going. Horner takes the raw emotionality of the moment to an even higher level when Jim Lovell is lured into a dream-like state, his imaginary moon landing scored with the NASA theme, the trumpet both compassionate and tentatively heroic in one of its definitive performances, flanked by deceptively bright strings and solemn snare drums. At 1:14:05, the trumpet intones the NASA theme’s last (falling) note and Horner makes sure it lands exactly on Jim Lovell’s face as he awakens from the sad illusion. It is the composer’s wonderfully imaginative transition from the last close up of Lovell on the moon to the first close-up of Lovell back in the LM, from dream to reality. The dream is shattered, but Lovell realizes it is time to move on and direct his efforts toward getting back home in one piece. At 1:14:36 and smack in the middle of Lovell’s line, the trumpet hands the NASA theme to strings, which now play with a little more confidence. And yet, the cue’s final note is somber again, Horner acknowledging the long and difficult road ahead. This cue is the first part of Intrada’s track 22. Its second part is a cue called Pre-Manual Burn that went unused in the film. It would have played between the next cue and Manual Burn. This is the best example of Horner’s tension and action scoring in Apollo 13. 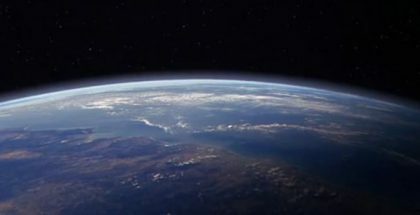 A closer look at the scene reveals the tricks the composer uses to generate maximum impact: 1) he refrains from competing with the dialogue and sound effects and instead accents editing cuts, which is a clever way of adding to the scene’s pacing, 2) the score erupts only on shots of the module seen from space, when dialogue and sound effects are largely absent, 3) Horner always keeps the rhythm going as long as we’re in space, but drops to just hesitant strings for shots of the home front (Marilyn, the press). Moreover, the cue features a little crescendo and Horner releases the tension at the exact moment Swigert throws a switch. The aftermath of the scene is scored with the rhythm ostinato broken up and now resembling a heartbeat, gradually slowing down and dissolving into a single low string note. All these nifty little tricks work wonders here and also in cue #21, which was created editorially with music from this cue tracked in. The astronauts are on a course that will have them bounce off the earth’s atmosphere and back into space. In order to correct their course, they have to proceed to a manual thruster burn, which basically means that they will be flying blind. This leads to another frantic action cue that should have made it to any of the score albums. The cue ends with a simple but highly effective combination of high tremolo strings (the astronauts’ hearts still racing) and a sustained note for low strings (the successful maneuver having been completed). Marilyn watches a previously recorded television interview during which Jim Lovell tells an old war story. The bottom line is that “you never know what events are going to transpire to bring you home”. The scene’s presence in the movie can only be justified if it is intended as a set-up for the astronauts’ successful return to earth at the end of the movie, and Horner scores it tentatively with the NASA trumpet over tremolo strings and muted brass, lending a quiet nobility to the moment. Ken Mattingly desperately tries to squeeze four more amps from the damaged craft’s systems and Horner responds with yet another cue of elegant yet understated tension, which he only releases when a salad bowl slips out of Barbara’s hands back at the Lovell residence. Another mention must be made of the improvements to the overall sound quality of this release, as the prior promotional album suffered from a lot of upper-range hiss because this cue was recorded virtually whisper-quiet. This cue was created editorially, with music from Carbon Dioxide tracked in. This cue too was created editorially, with music from Docking tracked in. Only after the Service Module has been jettisoned can the Apollo 13 crew appreciate the full extent of the damage done by the canister explosion. The eerie Docking music is uncannily effective during this moment. From his crippled craft, Jim Lovell looks down and from the house, Marilyn watches up. Horner scores this short but wonderful moment with nothing but ethereal synths. Even if he had had the scheduled ten weeks to compose the score instead of the eventual four, it stands to reason that he would have treated the moment no differently. Totally devoid of rhythm and musical development whatsoever, the moment exists as a break from time itself, and Horner nails it with a musical sliver of exquisite simplicity. The musical idea itself is reminiscent of a motif for the (appropriately named) character Cosmo from the 1992 movie Sneakers, inspired by Arvo Pärt's Fratres, a piece Horner would go on to include as part of his Pas de Deux concerto album. The music eases in on a shot of the LM being jettisoned and provides a warm string statement of the NASA theme as the astronauts bid farewell to the module that has been their lifeboat for the past few days. At 2:02:28, Horner builds momentum with militaristic snares, chimes and brass for the rescue preparations that are taking place aboard the USS Iwo Jima, an aircraft carrier sent to the Pacific to pick up the astronauts should they and their craft survive re-entry. Somber material plays right through a moment during which experts assess the odds for and against the astronauts making it back alive. “Gentlemen, it’s been a privilege flying with you.” After Lovell’s last words in space, the strings ease in and are soon joined by snare drums. Right off the bat, Horner announces that this is going to be the grand finale. Gene Kranz believes the event will be NASA's finest hour, and Horner took inspiration from that as this cue's original title was indeed, The Finest Hour. The craft enters earth’s atmosphere and that puts the damaged heat shield to the test. Horner deploys the full orchestra, highlighting brass and the choir. The music is hyperactive and hopeful all at once, frantic action material and a clear melodic line in the strings playing on top of it while Lovell crosses his fingers and closes his eyes. At 2:06:17, the filmmakers focus on what happens on the ground and the action is dialed down, although Horner does keep up the momentum. During three full minutes, radio contact with the crew will be impossible and the composer fills those minutes with brass and the trumpet playing over intentionally repetitive rhythmic material. During this part of the cue, at 2:07:53, Horner provides a cameo performance of the wolf theme from Balto, composed just months earlier, and repeats it at 2:08:17, now with low brass in counterpoint. The re-use of the wolf theme is indicative of the instinctive nature of James Horner’s thinking and composition process. At times, he intentionally referenced other composers’ or his own work because the reference added a new meaning or an interesting dimension. At other times, he reprised material from earlier scores simply because it allowed him to develop a previous idea, use it in new harmonic or rhythmic contexts and thread it into the patchwork of his cumulative and ever-expanding oeuvre. Occasionally – I’m going out on a limb here – he may have done so unconsciously. Could it be that Horner sometimes re-used a previous idea simply because it popped up in his head and it seemed appropriate for the scene he was working on? And just how much of a liability would that be, given his unfailing talent for digging out the emotional core in every new project and translating it into the most sumptuous and engaging music? 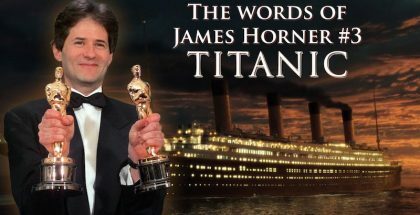 James Horner once stated that he had a hard time coming to terms with the proprietary nature of Hollywood film music: once a film composer has finished a score, the music becomes exclusively linked to that particular project, and while a painter like Monet would do a painting of a pond and another one immediately afterwards to bring out new and different shadings, the proprietary nature of Hollywood film scores worked against the composer developing musical ideas across individual scores. 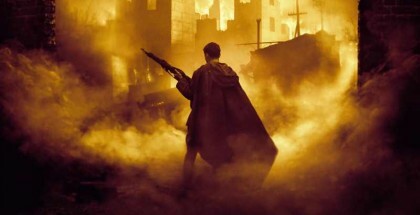 Lest we forget, a film score exists not only as a musical entity, but first and foremost as a dramatic and storytelling tool. Truth be told, Horner generally did get away with his composing methodology while remaining in the forefront of his field. As you know, Balto’s wolf theme, referenced very briefly here in Apollo 13, and later Titanic, would eventually become the splendidly used main theme of Enemy At The Gates (2001). See the article: Between Intelligence and Sensitivity: Two Dissected Untruths. At 2:08:48, three minutes of radio silence have become four and a general feeling of despair sets in. Horner’s rhythmic material loses momentum and descends into an oppressive figure for percussion over which a solemn oboe plays its sad line. At 2:09:13, however, the brass and strings pick up and ten seconds later, the full orchestra joins in as radio contact is re-established and the Mission Control crew erupts in jubilant cheers. More than anything, the safe return is the result of a team effort and Horner fittingly scores the triumph with no fewer than four statements of the NASA theme scored for full orchestra, overlaid with different brass counterpoint that keeps every new statement fresh, and interrupted only by a brief interlude for choir and snares leaving room for Jim Lovell’s last radio message: “This is Apollo 13 signing off.” Brief curious note: The film and album versions of this cue are different in the absolute slightest of ways: 6:34 (album track timecode) features Tim Morrison’s trumpet resolve the counterpoint begun by the strings. The version of the cue on disc one of this album is indeed verbatim to the film, but the curiosity occurs during the same moment on disc two, which uses the version heard on both the OST and the promotional album. In this version Morrison’s trumpet is actually delayed by a second. It's so minor, and the cue is essentially the same performance otherwise. Why such a tiny anomaly exists is unknown. At 2:12:02, the score takes a back seat to Lovell’s voice-over, but it does not stop being interesting from a musical point of view. The children’s choir intones the brass chorale that started All Systems Go – The Launch and at 2:12:50 Horner brings the score full circle by reprising material from the Main Title, even though it sounds a little busier, its strings now redemptive rather than lamenting. Finally, at 2:13:29, the choir takes up the lyrical take-off theme from The Launch and during its final seconds, joins the snare drums and the orchestra in a build-up to a satisfying climax. The previous cue segues directly into the end credits, with Annie Lennox and the children’s choir performing rapturous takes on the lyrical take-off theme. Lennox finishes with an interlude that is vocalized in three simultaneous and contrapuntal ways before the full orchestra bursts forth with the NASA theme. An acapella choir reprises the brass chorale that started off All Systems Go – The Launch and then Horner interlaces statements of the lyrical take-off theme (in the strings) and the brass chorale (in the choir), building to a spectacular harmonized combination of both strings and choir. Appropriately, the cue finishes with the most solemn and meditative trumpet statement of the NASA theme, performed by just Tim Morrison with no accompaniment whatsoever. It’s a classy touch and it brings the score full circle. The album versions of the end title cue (including the one Intrada labels “film version”) feature some of the string material from the Main Titles prior to the solo trumpet send-off. The version of the End Credits that is closest to the edited film version can be found on the “Gold” release. What the Apollo 13 score obviously lacks in musical development and storytelling complexity, it more than makes up for in the staggeringly polysemic nature of such deceptively simple musical ideas as the NASA theme and Annie Lennox’s vocals, the expert handling of the action and tension cues and the composer’s personal involvement in the project, Apollo 13 being a testament to the resilience of the space program and the continuing wonder of space exploration. Why not lift up your gaze and secretly hope for a cosmic connection with one of the masters of film music? Apollo 13 is easily one of my favorite scores by James, it’s enthralling to listen to, and whilst watching the movie, it feels like you’re actually there, thanks to not only the stellar acting and directing, but also thanks to the way James always used certain chords and harmonies in it, drawing us into this story of the space mission that never made it to the moon. Overall this is a great article for an even more amazing score, one that arguably deserves more recognition. Great criticism of one of the best Horner’s works. 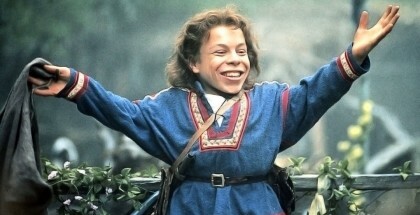 The same year of Braveheart, shows how talented this genius was…and he didn´t get the oscar (no comment). Congratulations for this website, you do a great job for Horner’s fans. P.S : We have to get Horner’s score for Romeo and Juliet released!! A brilliant piece for the start of 2019…..thank you everyone for keeping James’s music with us all. And I do agree so much with the above comments especially yours LJ….what ever can be done for the release of Romeo and Juliet. It doesn’t matter about not used in the film it was created for….there are so many talented people on this score, a beautiful young choir plus very famous singers and musicians who, I’m sure, would love their artistry for James to be finally heard. 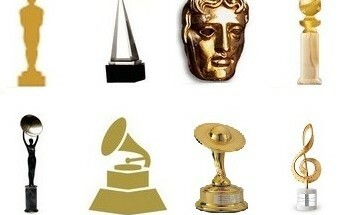 Will never give up hoping for this. Pamela. 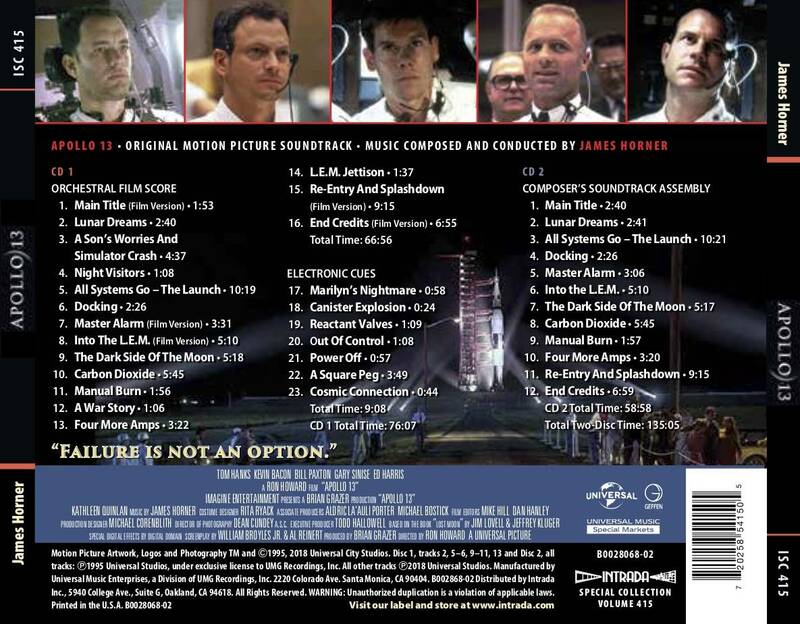 Congratulations to Intrada Records for successfully launching the complete ‘Apollo 13’ score; this is one that many fans of film music at its best have been waiting a long time for. 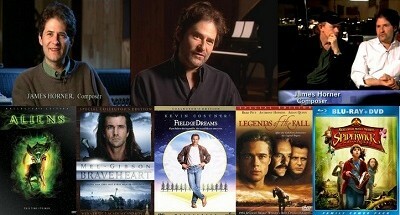 Well done Kjell and Nick for yet another master class in how to appreciate the unique genius of James Horner. You guide us with commanding insight through the many subtleties and finely executed touches of the score, just as Gene Kranz (Ed Harris) guides the stricken craft and its courageous crew safely back to earth in the movie itself. I well remember buying a copy of the ‘Apollo 13’ soundtrack many years ago as a cassette tape, believe it or not, which I still have, later replaced with the cd. 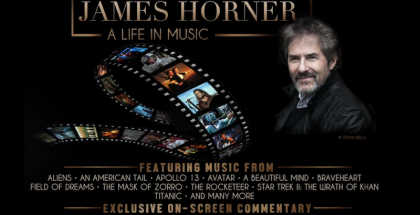 The decision by MCA Records to dilute the release with numerous pop songs detracting from the magnificence of James Horner’s original music has long been a source of consternation for the composer’s fans. It is hard to know who they were appealing to in doing this. More recently, I was able to purchase a copy of the rare promo cd containing the full score, which MCA should have authorised as the official release when the film came out in 1995. But now at last thanks to Intrada a comprehensive ‘Apollo 13’ edition is made available to all that does full justice to one of the benchmark film scores of its time. There is no doubt that director Ron Howard made a very astute move in deciding to seek out the services of James Horner for this project. There is something incredibly fascinating and dramatic about how people react when the technology they have put their trust in suddenly fails them, with life-threatening consequences For James Horner this was subject matter that really fired his creative engine, sending his musical accomplishment to a new level. Remarkably, just two years later the Maestro had another opportunity to explore exactly the same theme, not in connection with a voyage through space, but in regard to a great liner crossing the ocean. And as we all know, his score for that project turned out nicely as well!